With proper fitting this collar should not slide down the neck, but stay in this position giving the handler better control for more effective control. This is a training collar, not an everyday collar. 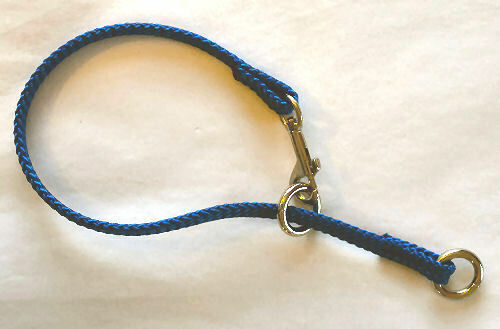 Do not leave the Cruz Control™ collar on the dog when not training. Only a slight movement of the wrist is all that is needed to get the dogs attention back on you.